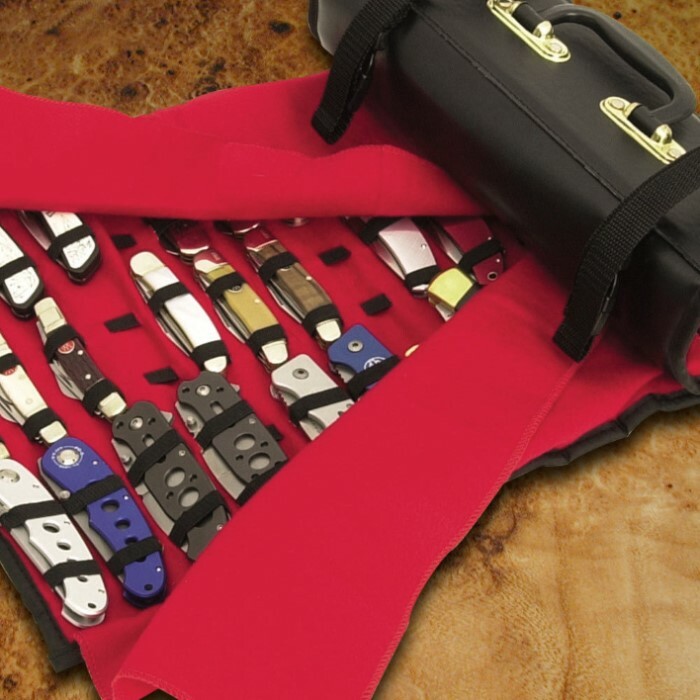 Large Knife Roll - Holds Up To 50 Knives | BUDK.com - Knives & Swords At The Lowest Prices! 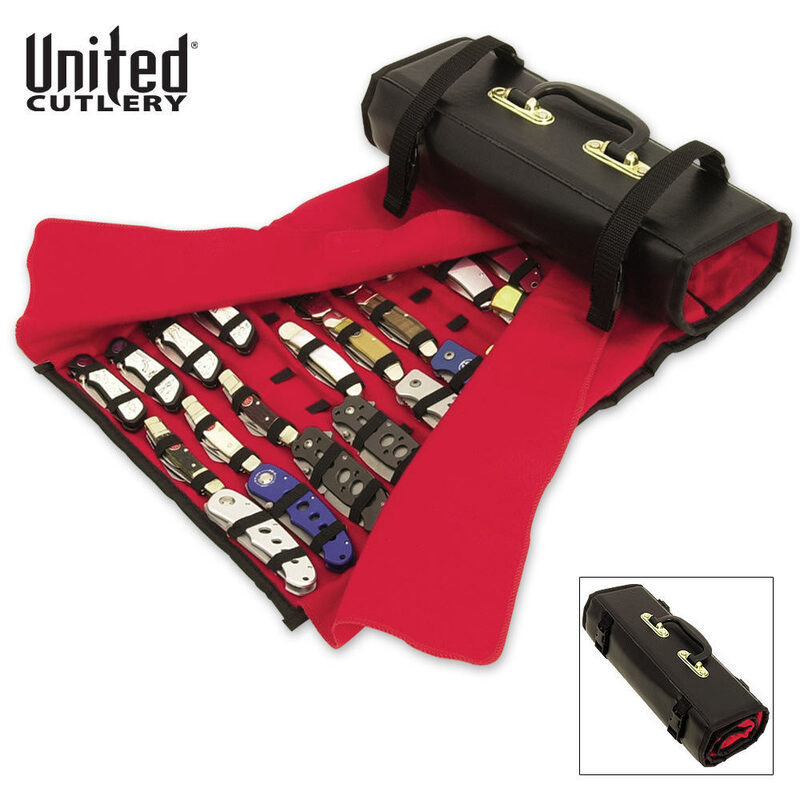 This knife roll holds up to 50 knives of various sizes and is constructed a PVC exterior and a red felt-liner interior. Knives not included.